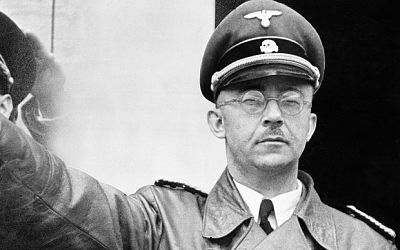 The 2014 documentary The Decent One delves into the family life of the Heinrich Himmler, one of the most powerful leaders in Nazi Germany and one of those most directly responsible for the Holocaust. In May, 1945, soldiers of the US Army occupied the Heinrich Himmler family home in Gmund Germany where they discovered hundreds of private letters, documents, diaries and photographs. They were hidden in Tel Aviv for decades and ultimately sold to the father of the Israeli documentary filmmaker, Vanessa Lapa. The Decent One makes use of these materials to sketch the biography and expose the inner mind, ideals, plans and secrets of the evil SS commander—the architect of the Final Solution and the man responsible for some of the worst atrocities of the Second World War. Through readings of the Himmler family’s most personal writings and rarely seen restored film footage from key German archives, director Lapa fashions a case study that asks the question: How can a man become a hero in his own eyes but a mass murderer to the world?